Is spreadsheet risk management a better fix for excel user woes than AI? Despite the deployment of enterprise IT systems in organisations, spreadsheets offer businesses the flexibility and agility to adapt and enhance vital business processes. People love Excel Spreadsheets. They use them to manage their projects, manage their businesses and to get things done when Corporate IT cannot move at the speed required. For all the challenges that the Excel spreadsheet poses to businesses, its use is ubiquitous and is likely to remain this way. It is the number one ‘go to’ tool for complex business calculations, financial analysis and data manipulation. Despite the deployment of enterprise IT systems in organisations, spreadsheets offer businesses the flexibility and agility to adapt and enhance vital business processes, whether it is to manage complex projects, budgets and forecasts, develop business and financial models to support their strategic decision making, or to produce management and stakeholder reports. However, despite their undoubted value, they pose significant risk to the business too, because they are typically used in an uncontrolled way, without the change controls found in other IT applications. This spreadsheet risk – the potential for business issues caused by errors and omissions in spreadsheets – can therefore become a real issue. 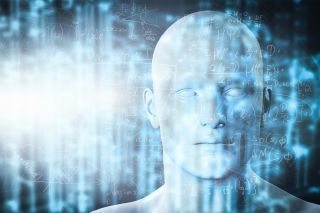 AI is emerging almost as a universal elixir for all manner of business, operational and technological challenges, and has recently been posed as a solution to the problems of how spreadsheets are typically used in businesses. While the application of AI may have the potential for enabling enterprises to deal with spreadsheet risk, a more practical and proven approach is for companies to adopt a best practice-led model for spreadsheet risk management, that ensures the accuracy and integrity of the spreadsheet files. A key driver for spreadsheet risk is the way users create, and re-use spreadsheets and the lack of control inherent in an application designed long before risk, control auditability were part of a business’ day to day vocabulary. For example, often there is an absence of checks on the data sources used to populate spreadsheets. Equally there are often few controls on how users create spreadsheets. Users often create or copy spreadsheets for new business processes, applications or reports, so there is the likelihood of the using the wrong data feeds, or the use of stale and inaccurate data in these new spreadsheets. If these potentially flawed results are fed into organisations’ core business processes, financial systems or used for ‘final mile’ reporting, they can skew outcomes and cause misreporting – with or without AI. Given the risk of spreadsheets, and the management overhead that they can create, it is hardly surprising that IT managers are often reluctant to perpetuate the use of this uncontrolled, if powerful technology, when more tightly managed, enterprise-strength systems already exist. These applications are undoubtedly the preferred option for many core business processes as they are fully tested, maintained and supported by IT. The shortcoming of these enterprise systems, however, is that they are not always able to meet user requirements. For instance, if there is a requirement for a new finance report that the existing corporate system does not currently provide, there is likely to be a long lead time for the system provider to offer the required functionality. The spreadsheet on the other hand, is readily available at no cost; and is flexible enough to allow users to swiftly produce new reports, models and complex calculations, from the ground up. As such, there is a gap between what the enterprise system can do and what the user needs – which is why users resort to spreadsheets to deliver enterprise-strength applications, without the full support, or even knowledge of their IT function. This gap between what core enterprise systems can provide, and what users actually require is almost inevitable. Enterprises are not always on the latest (or even the same) version of a software application. Even if they are, often incorporating new functionality in large enterprise systems can take many weeks/months before it can be tested, reviewed and released into the organisation. However, employees need tools that allow them to resolve the business problem they are dealing with pretty much instantly. Faced with such challenges, business users resort to readily available, capable technology they are familiar, ideally at ‘zero cost’. Clearly the Excel spreadsheet meets these requirements and the spiral of spreadsheet usage continues endlessly – as does the spreadsheet risk these tools pose. Rather than developing a new, unproven AI framework to address these issues, adopting an end-to-end spreadsheet risk management approach may be more effective at squaring this circle for companies. An enterprise-strength model can enable the IT function to establish a conveyor belt-style process that supports everything from creation of new spreadsheet-based applications through to their eventual adoption in an enterprise application, or their retirement from the business. This approach can provide visibility of every spreadsheet application by offering an enterprise discovery and inventory capability, tiered for risk, protected for security and geared for providing management visibility. For the IT teams that design system road maps, and undertake corporate IT initiatives, this visibility of these business-critical processes spreadsheet processes will be invaluable as it provides the visibility of these files, how they operate, their data flows and changes made by users. This framework helps IT teams achieve their long term objectives of providing IT supported systems for all business processes, without removing the power and flexibility of spreadsheets that end users value and require to meet immediate business requirements. There is no doubt that AI offers the potential for reducing the friction within business processes and stripping out costs, to deliver greater business efficiency and enhanced employee productivity. In due course it may be used to effectively manage spreadsheet risk, or help reduce the extent to which businesses rely on them. Until that day arrives, IT teams may wish to explore other options to address these issues, in ways that deliver the same objectives, but are proven, supported, and utilise technology platforms that are in widespread use. In doing so, IT teams will offer a solution that meets the needs of users without further burdening often the already stretched departments.